The Tennessee State football program announced Monday that it has added an FBS game to their 2019 season. 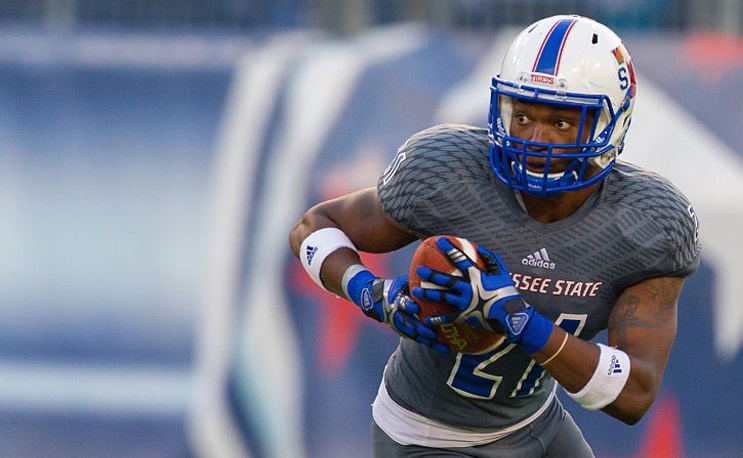 NASHVILLE – The Tennessee State football program announced Monday that it has added an FBS game to their 2019 season. The game is scheduled for Sept. 7 against Middle Tennessee at Johnny “Red” Floyd Stadium in Murfreesboro, Tenn. and marks the fourth consecutive year the Tigers will play a Football Bowl Subdivision (FBS) opponent. TSU faced off with Vanderbilt in 2016 and will take on the Commodores once again in 2018. The Big Blue will open the 2017 campaign at Georgia State on Aug. 31. The two teams last played in 1998 when MT was a member of the Ohio Valley Conference, with the Blue Raiders winning 28-27 in Murfreesboro. The Tigers last win over Middle Tennessee came a year earlier in a 25-16 decision at Hale Stadium. TSU and MT have played 19 times, with the opponents from the south holding a 10-9 advantage.